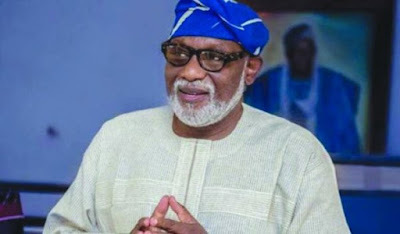 Ondo State governor, Oluwarotimi Akeredolu, has declared that the proposed Ondo Deep Seaport would mark a turning point for generations to come. He said it would change the landscape and create massive job opportunities for the people. Akeredolu stated this while receiving the feasibility study report on the port at the community and stakeholders forum at the International Culture and Events Centre, The Dome, in Akure. Managing Director of MTBS Netherlands, Mr. Chime Asonye, accompanied by the firm’s project leader, Mr. Willem Slenderbroek, presented the feasibility report to the governor. According to Akeredolu: “We are doing things for generation to come. I have always believed that there should be a beginning, and as we have started, there is no going back. In the number of years that we will be here, the government would pursue the port. He added that besides that, the president had said it several times that he knew that Ondo would be the right place for a Deep Sea port. He further explained that his administration’s dream for the port is to serve as a conduit for goods from across Nigeria, and not only in Ondo State. The governor added that the state was only meant to prepare the ground, and do the feasibility and bankability of the port for the Federal Government. He explained that Ondo alone couldn’t build the port, adding that there are many people who are willing to invest in it. He listed the prospective investors to include “the Chinese, Dutch and others, because it would be a West Africa port, and not just for the country. He promised that the port project would be declared before the end of the year, noting that when completed, it will mark the beginning of greatness for Ondo State. Senior Special Assistant to the Governor on Energy and Mineral Resources, Femi Akarakiri, explained that the ‘Artificial Island Port-Single Basin’ is considered technically feasible and attainable.